I had read quotes like the above about small double paddle canoes but never really paid much attention to these little boats until one day we tried some, eleven foot six inch Mac McCarthy designed Feather Canoes built by a friend. These are really fun little boats, so I set about creating one out of plywood based on Macs Feather canoe as a baseline. More coming this week (Feb 19 3013). 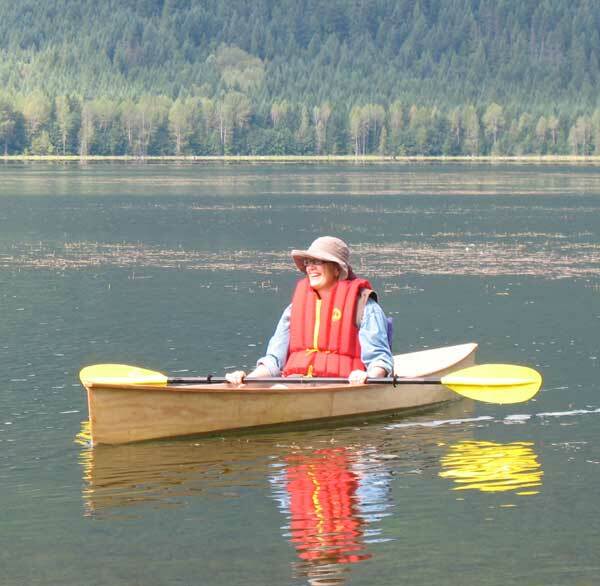 Prototype 1/4″ exterior grade plywood Wee Lassie canoe at Ross Lake, Washington.